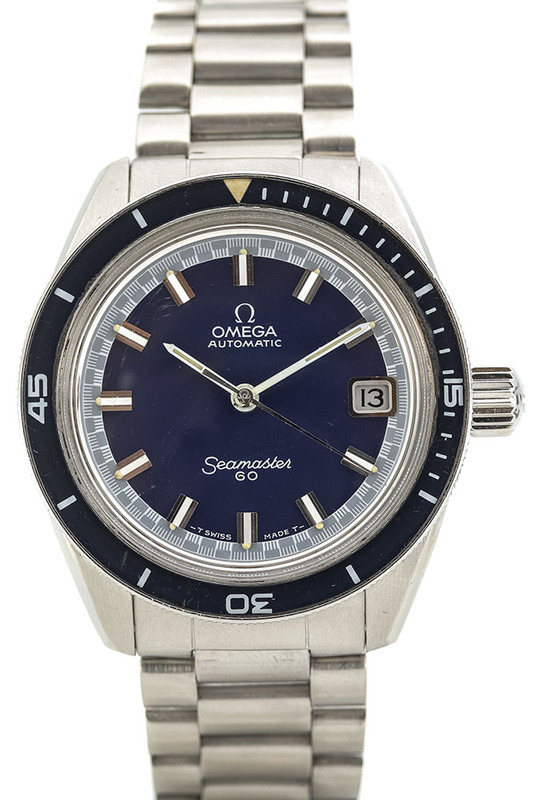 One of the best Seamasters ever made. The Omega Seamaster 60 is an example of a watch where you’ll get so many valuable characteristics for a fair price. Let’s start with its functionality, the name gives it away a little, the Seamaster is a divers watch and is waterproof to a depth of 60 meters. With a diameter of 37 mm. a more than a reasonable score for 1969. 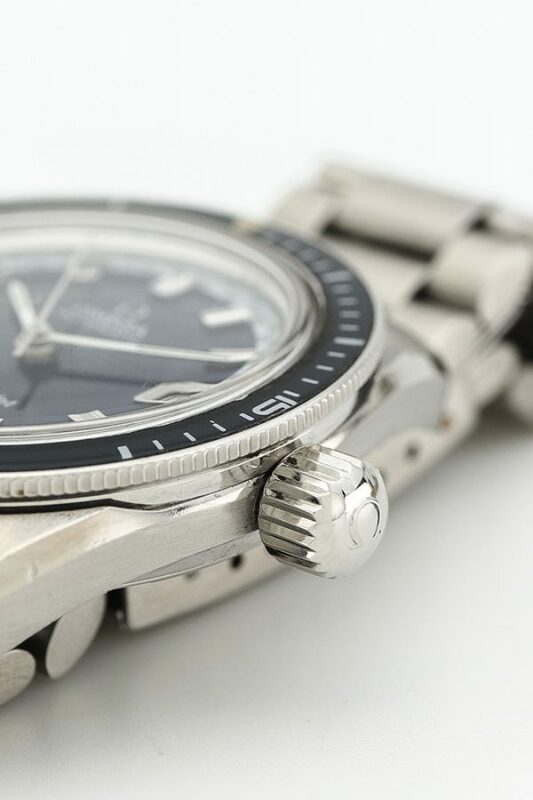 A very cool detail about this watch is the big crown, the big crown is rarely seen on watches and is seen only on vintage divers and military watches. The 565 caliber moves the hands and date in this watch. 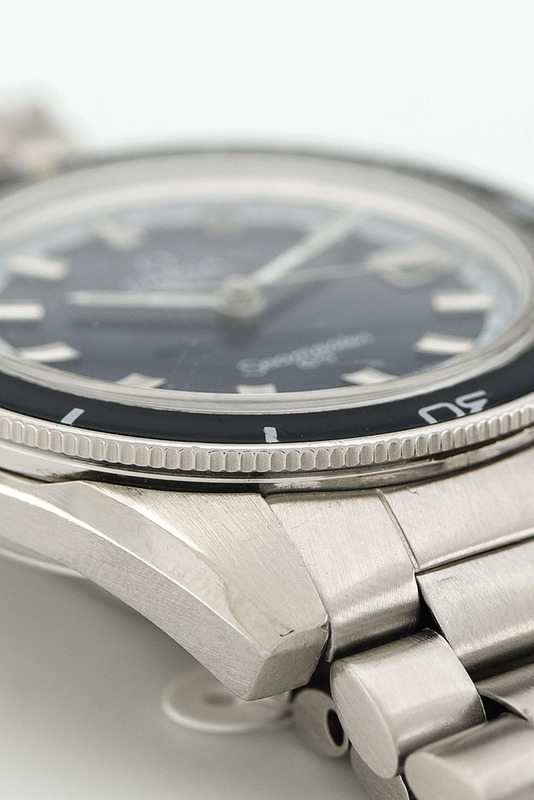 When the big crown get’s pulled out to the max you’ll find out this watch has a quick-set function for the date! 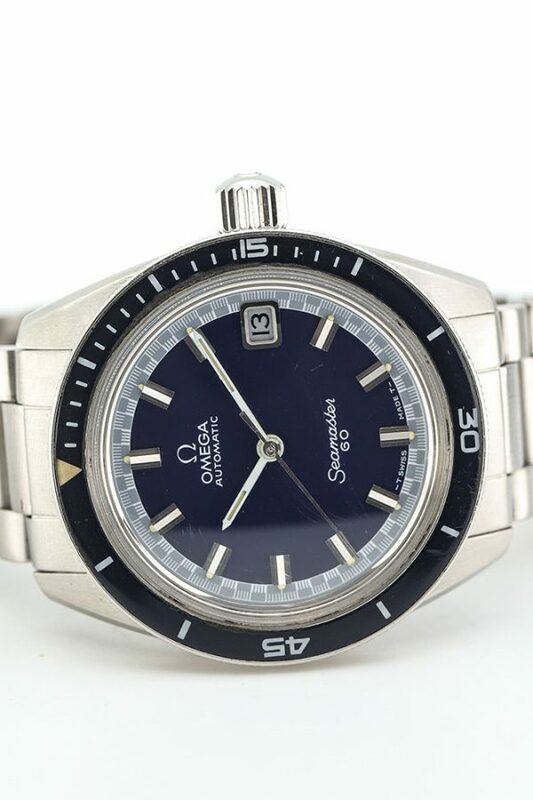 One of the earlier watches to have this! 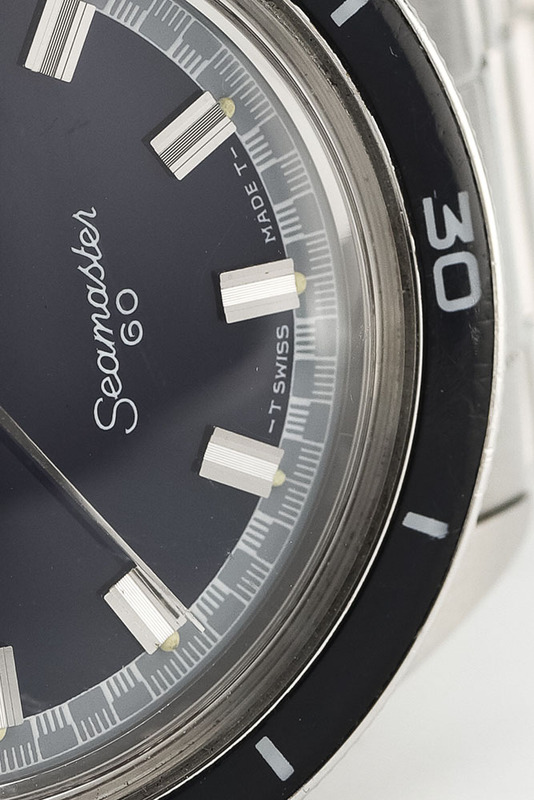 The deep blue coloured dial is beautiful but the grey ‘racing checkered’ outer circle make this watch exciting and cool. The vintage bakelite bezel is still impressive with a spotless tritium triangle on top. 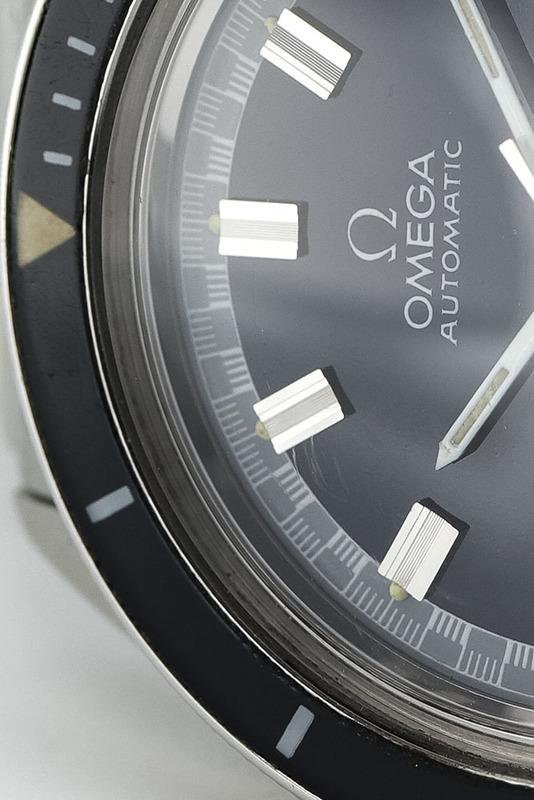 The stainless steel Omega bracelet is very comfortable and fits the watch perfectly. A watch that will fit any watch lover.. first come first serve. Come to the 9-streets, Amsterdam, en let the watch do the charming.